DOWELL TO PLAY FOR AUSTRALIA! 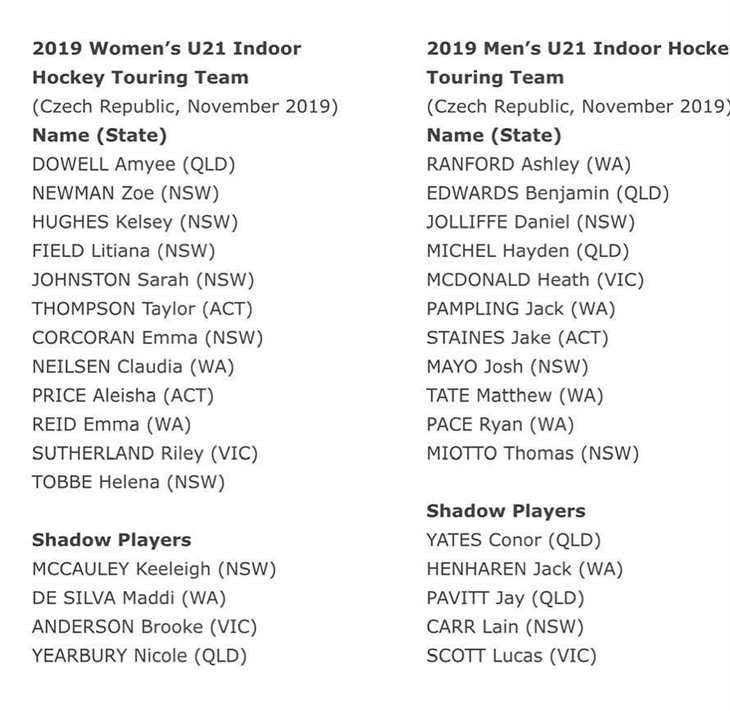 Massive congratulations to our very own Aymee Dowell for her selection in the Australian U21 Indoor team. Aymee was selected from the recent U21 National Indoor Tournament held in January at Goulburn NSW. Aymee will travel to Czech Republic in November 2019. Another Saints member, Nic Yearbury was selected as a shadow player for the team. Congratulations ladies and best of luck for everyone at Saints for the year ahead! 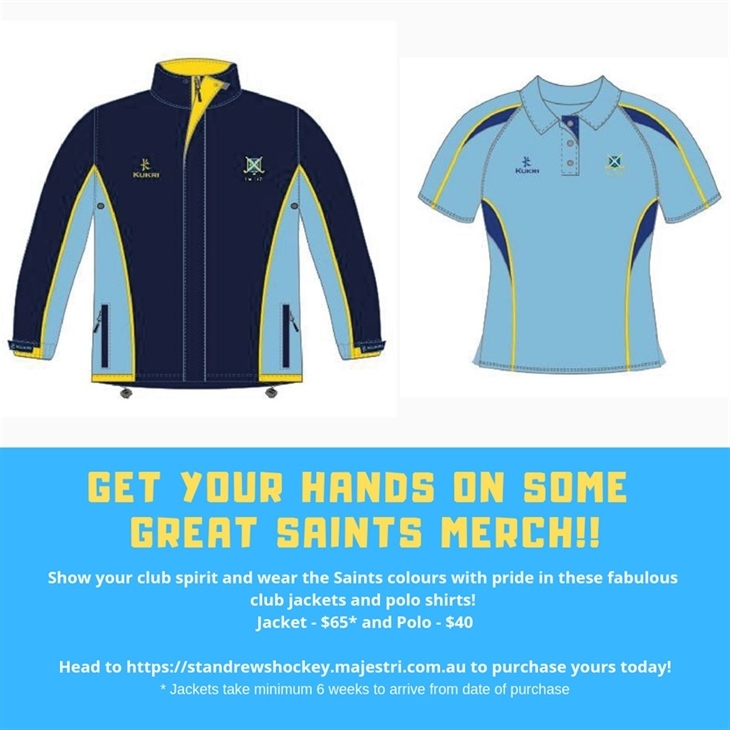 Our very stylish spray jackets and polo shirts are now available to order for the 2019 season! These are available for all players and supporters to purchase. 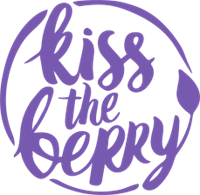 Follow the link below to order yours today! Welcome to the Saints Family! 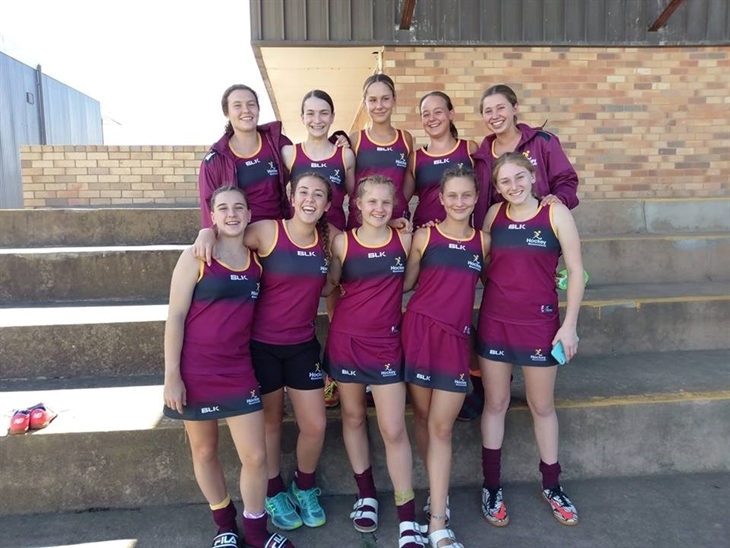 Congratulations to our very own Eliza White, who has been selected in the Queensland Under 15 State Team! Eliza will be travelling to Narellan, NSW to compete in the U15 National Championships in April. Train hard and go for gold Eliza! More Indoor Representative Success for Saints! 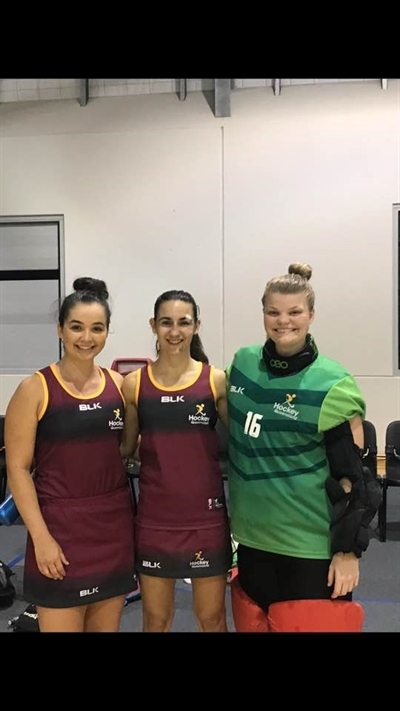 Congratulations to Div 1 players Nicole Yeabury (left), Emma Hawley (centre) and Aymee Dowell (right) who have represented Queensland at the U21 Indoor National Championships over the last week. Big shout out to Nic who was also the leading goalscorer for Qld! Fantastic efforts girls!! Nic will also being representing QLD in the Open Women's team whose campaign starts tomorrow. We wish you the best of luck! A big congratulations to Saints JT1 and Div 2 player Phoebe Lingard on winning GOLD at the 2019 Under 15 Australian Indoor Championships over the weekend! Qld beat NSW in shoot-outs after the score was 2-2 at end of full time. Well done Phoebe on such a wonderful achievement!